In this article, we will know some troubleshooting methods to fix the battery charging issue. Most of you run to the service centre after observing any problem in a phone, but at first, you should try to solve it yourself. 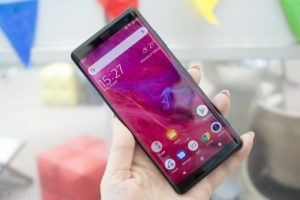 The users of some latest and high-end smartphones like Nokia 7.1 has reported that the battery is not charging despite connecting to a working charger. So, we thought to solve their problem by noting down some effective methods. What is the most important thing to operate a smartphone? Well, the answer is very simple, battery. A phone that is not charging accurately or severely not charging at all can be an extremely worrying situation. If you find that the phone charging, but draining very fast, then refer to our previous article. Everyone has to charge their phone often if used too much, but if the battery drains shockingly, must read our previous article on battery drainage problem. The battery issue could be many types which might e related to a software problem. Although, make sure that the problem didn’t arise after you dropped the device underwater or on the hard floor. In these conditions, the phone might have a hardware issue, but we cannot conclude this before trying these simple methods. Some users have complained of phone charging slowly with a fast-charging feature or it doesn’t charge after charging for more than two hours. If you have any other problems relating to any smartphone model, feel free to contact Gadget Features Forum. So, if you have landed here, then you must be eager to know the methods to fix Nokia 7.1 Battery Charging Issue And Switching on. Here in this complete guide which will help you to solve this severe battery issue. Without wasting time, let’s begin the methods. Firstly, check the cable which is the weakest portion of a charger. After using the charger for long and regularly, the wire gets damaged which prevent the device to get charged. You can try a different cable of another phone before buying the new cable. Most of the high-end phones come with USB charger so, you can buy only the cable and not the adapter which saves your money. Although, buying a new cable only after testing it via other phone’s cable. If you don’t have another cable, then borrow it from a friend or neighbour. Most of you use other model chargers for charging and not the one which you get in the box. So, charge the phone via the certified charger and not the local one. If the cable is absolutely fine, check the adapter condition. For this, you can connect the USB cable to a PC or laptop. If the phone takes charge, then the adapter has to be replaced. Also, check the wall socket and connect the charger to another socket. Before jumping into some serious methods, you should know the reason why the problem arrived. If you operate the phone and play the high-intensive game while charging, it’s likely that the device doesn’t charge. So, turn off the smartphone when you plug it charging socket. This can solve the issue easily so, must try it. Switching off the phone helps the device to get charged quickly. If you don’t want to turn off the device, the turn on the phone to airplane mode. The users are advised to maintain approximately 40 percent battery. Many users have complained that the phone not switching on as the battery is completely exhausted. They tried to connect start the phone while charging, but it doesn’t start. In this case, the problem could be in the small metal connector in the USB port, which can be somewhat crumpled or damaged. First of all, turn off the smartphone, and remove the battery if the phone has a removable battery. Although, most of the phones these days come with a non-removable battery so, just switch off the device. Now, use a toothpick or a pin comparable in dimension and level the tab in the USB (charging) port. Fix the port software so that you don’t break anything. Switch on the device again and observe it. 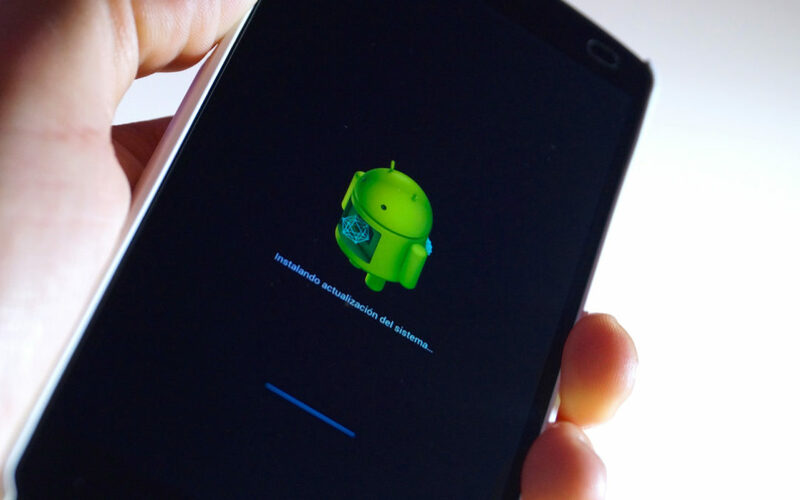 Software updates and the latest Android OS can become the worst thing for your battery life. The all-new Nokia 7.1 comes with the latest software. We cannot say that the new version is not good, but sometimes, it becomes a major issue for some peoples. If your device is running on the latest version OS, then downgrading can help you. Downgrading is a tough process so, execute it only if you can do it otherwise, you can take help of a professional. Here are the steps. 1. Backup all smartphone data into a computer or laptop. 2. Connect your Android phone to a Windows device. 3. Scan Android phone and detect the removed data. 4. Preview and recover data from your smartphone. 5. Now, download and install Android SDK tools. 6. Uncompress/Decompress or UnZip downloaded Marshmallow factory image. 7. Activate USB debugging and link the device with PC. Some of you think that the software update is not necessary for your device. Downgrading software sometimes solves the battery problem, at the same time, upgrading is also helpful. So, you must check for latest updates which come with bug fixes which solve the battery charging problem. 1. Navigate to the Settings of the phone. 2. Tap on About phone option. 3. Now, check for an update. 4. If the update is available to download it. 5. Wait for the download to complete. 6. Remember that downloading requires a proper internet connection. If you take a smartphone to the technician with the battery problem, the first advice you will get is ‘replace the battery’. Although, it might cost a hefty amount. If you can afford battery replacement, then refer it, and if you can’t, try the following method. If you cannot charge your phone, an Android app can be a basis. You have to uninstall the application which you have downloaded recently. No need of installing all the apps. Some of you might be confused about how to find out whether a specific app is creating a problem. Safe mode is the solution which temporarily disables all the third-party apps and lets you know whether the apps are affecting the battery performance. 1. Press and hold the Power Key to turn off the smartphone. 2. Press and hold the Volume Down along with Power keys. 3. Release the Power Key when Android logo appears on the screen. 4. Press and hold the Power key again along with Volume Down key which you are already holding. 5. The phone will start in recovery mode, then release both the keys. 6. You will notice an option which will ask you to enable Safe Mode. 7. Click on Ok to confirm. 8. You will see the safe mode appears at the bottom of the screen. Ampere is a surprisingly exceptional application for checking that the phone is charging and the speed of charging as well. It essentially recognises the current which is received by the device while charging. It is a great application for smartphone battery and every smartphone must have this amazing app. If the app gives the green light, the device is charging, and if the orange number appears, then the phone is using power. Sometimes, the phone vibrates, but it won’t tun on while charging. This means that the phone is receiving power, but some software bug is affecting the battery. In this case, you don’t have any option other than a factory reset. Follow these methods to reset the device quickly. 1. Remember to back up all data of the phone. 2. Turn off the smartphone. 3. Press and hold the Power and Volume down buttons. 4. Release and again hold the Power button. Make sure you are holding the Volume down button. 5. Press the Volume down button few times to highlight ‘Delete all user data and reset all settings’. 6. To confirm tap on Yes. 7. Press the Power button to factory reset. So, these were a complete guide to fix Nokia 7.1 Battery Charging Issue And Switching on. These methods are completely tested and many users have found these helpful. I hope you liked this article and these methods help you to solve the battery charging issue. You can share this post with your friends and families who are facing the same issue. My Nokia 7.1 USB -c charge port is not working . wire goes in, but nothing. B4 I was able to at least prop the wire in a certain position, but now not at all. It takes ten mins jus to find a position and I have to hold it hard, push in and up and crooked n hold position, it hours my hand n I can’t move even a Lil or it stops. Pls help.